OnePlus has officially announced the OnePlus 3T, a slightly powerful variant of its hit 2016 device, the OnePlus 3. That being said, the OnePlus 3T isn't all awe inspiring, when it comes to raw specs. The phone is powered by a Qualcomm Snadpragon 821 processor clocked @ 2.34GHz, with 6GB of RAM. The device will come in two variants, one with 64GB of internal storage, and one with 128GB of internal storage. 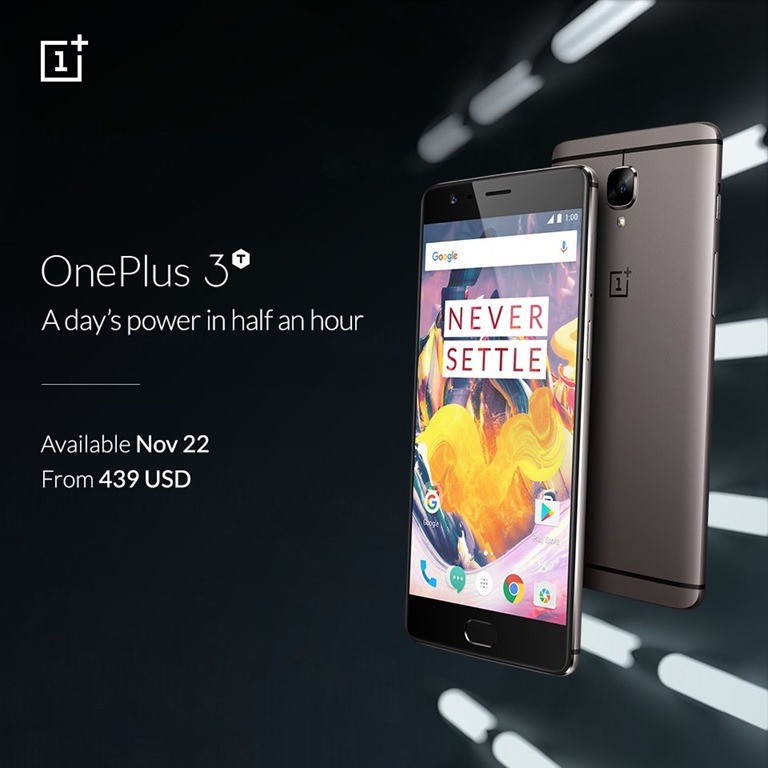 The OnePlus 3T has been priced at $439 (EUR 439 / GBP 399)for the 64GB variant, while the 128GB variant will retail for $479. The phone will come in two colours: Gunmetal and Soft Gold. The OnePlus 3T will be available from OnePlus’ online store, www.onepl.us/3t, starting from November 22nd in the U.S and Canada, and a week later, on November 28th in Europe.